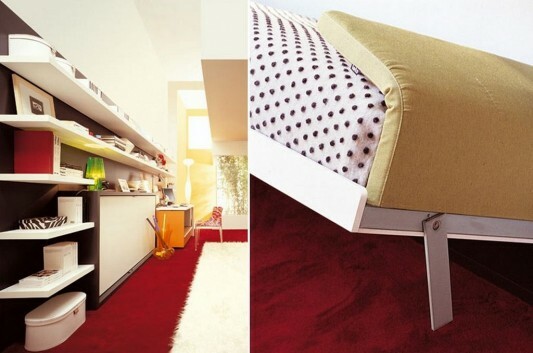 Design of modern computer desk designed together with bookshelves and a minimalist bed simple. The design of this furniture is made in a simple form, and just doing a simple setting to change its functions, such as for example there is a sofa that was hidden storage closet, and enough to pull it if you want to use. However, if the couch is not used in the content by a small table to place the printer, and printer table will be hidden under the computer desk when not in use. It’s really a compact design, and complementary with each other. 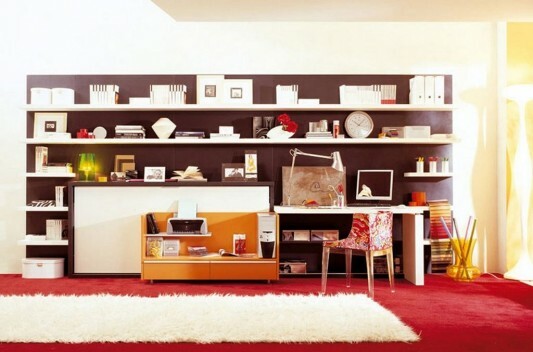 The design of this compact home office furniture is made against the wall, with decor and beautiful shapes and stylish. On the top shelf, in addition to the use to store books and other trinkets. This furniture is ideal for those of you who do all the office work at home, and do not have much space for your particular office space, in addition to functional furniture is also very beautiful to decorate the interior of the house. If you want to know more information, please contact Clei.